Worldnet Payments has completed the EMV certification of the ID TECH VP5300, an unattended card reader. Toronto, ON (PRWEB) April 23, 2019 -- Volaris Group today announced that Triple E Technologies has joined Red River Software, a Volaris Group company. 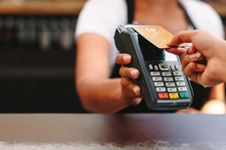 London, England (PRWEB) April 26, 2019 -- Today EMV Capital announces the acquisition of a controlling stake in Bay Area-based Vortex Biosciences, and a.
Trustwave has released the 2019 Trustwave Global Security Report, which reveals the top security threats, breaches by industry and cybercrime trends.